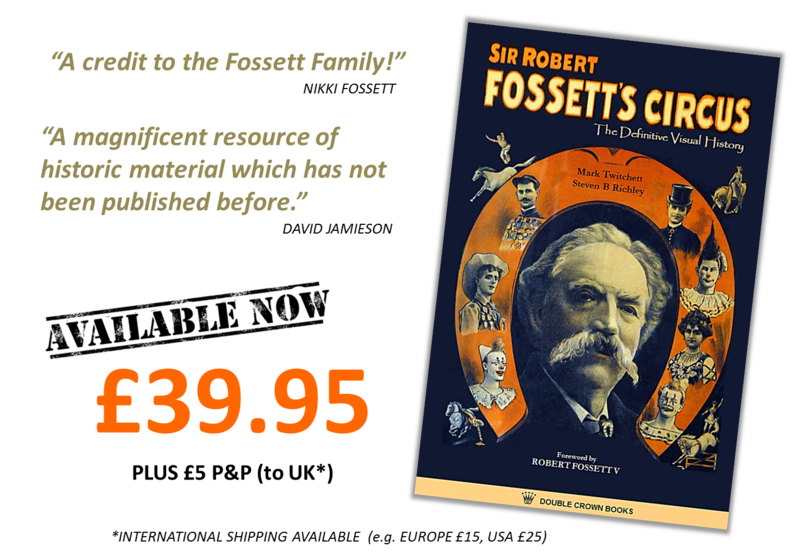 Sir Robert Fossett’s Circus had a remarkable record over 150 years. It operated through the reigns of five British monarchs and managed to keep going throughout two World Wars. Unlike the circuses of John and George Sanger and the Ginnetts, it never travelled abroad, but it did cover the length and breadth of England, Scotland and Wales. There can be few towns that, at some time or another, have not been visited by Fossetts, often showing in out-of-the-way places that were missed by their larger rivals. No other British circus lasted for such a long time or produced so many progeny who followed the circus business. Just after WWll, Fossett’s was a similar size to the circuses of Billy Smart and Chipperfield but, while the last two expanded dramatically in the post-war boom conditions, Sir Robert Fossett’s remained true to its family roots and continued to provide its patrons with traditional circus fare, unchanging in an ever-changing world of entertainment. It is a story of great highs and lows: from heady success, winning cups and medals and being feted by lord mayors and the gentry at London’s finest exhibition halls, to pulling vehicles off rain sodden fields, ankle deep in mud, the canvas of the tent doubled in weight by the incessant English rain. 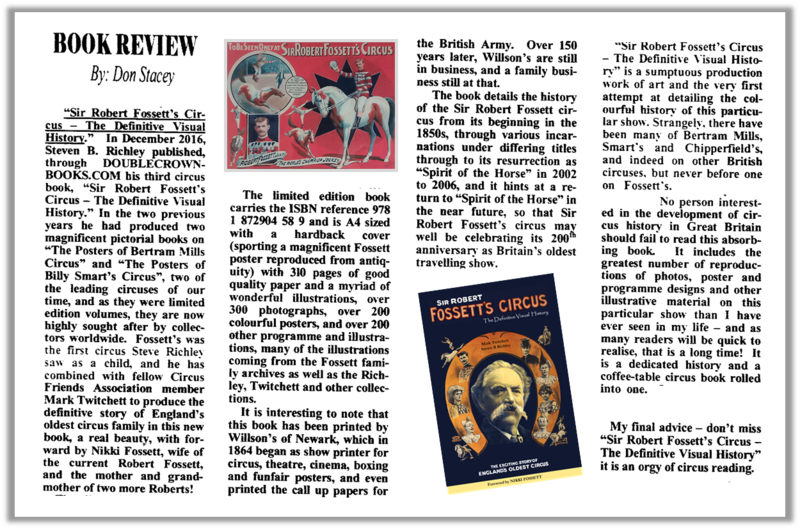 SIR ROBERT FOSSETT'S CIRCUS - THE DEFINITIVE VISUAL HISTORY tells this story for the first time. From Robert Fossett (I) selling rock sticks in Petticoat Lane to the Mammoth Jungle Circuses of the 1950's and the fabulous Spirit of the Shows of recent years, the complete 150-year history is here. Lavishly illustrated with hundreds of photographs, programmes and posters from the collections of the Fossett Family, the Circus Friends Association, the National Fairground and Circus Archive and many private collections, many items appearing in print for the first time, this 350 page book is sure to delight circus fans everywhere.